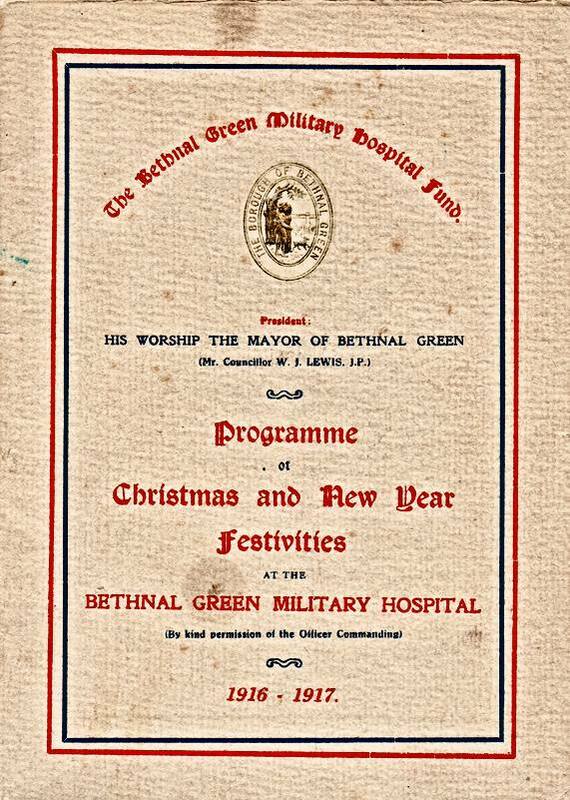 Christmas card and programme of events for the Christmas 1916 to New Year 2017 celebrations held at the Bethnal Green Military Hospital. 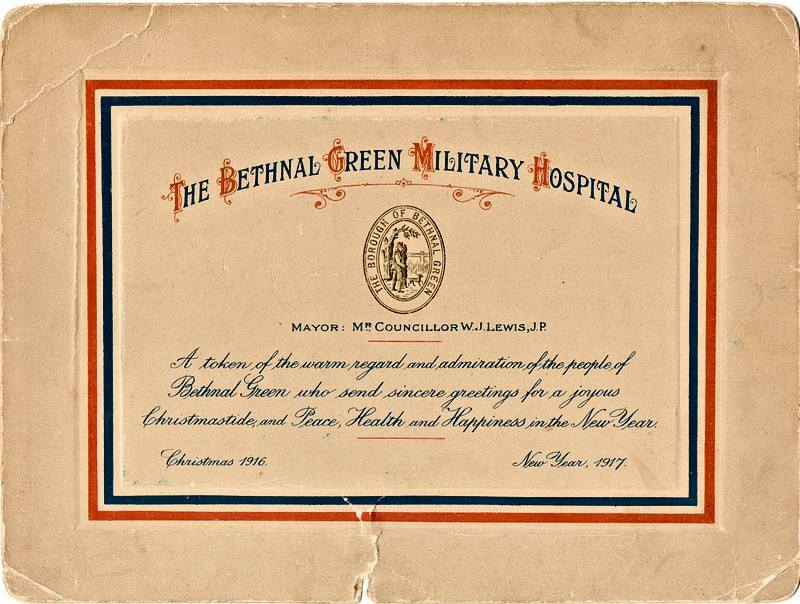 The Bethnal Green Infirmary was opened in 1900 on the site of the former Palestine Place. 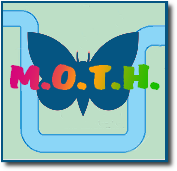 It was taken over by the military in 1915 and not returned until 1920. The hospital closed in 1990 and most of it has now been demolished. 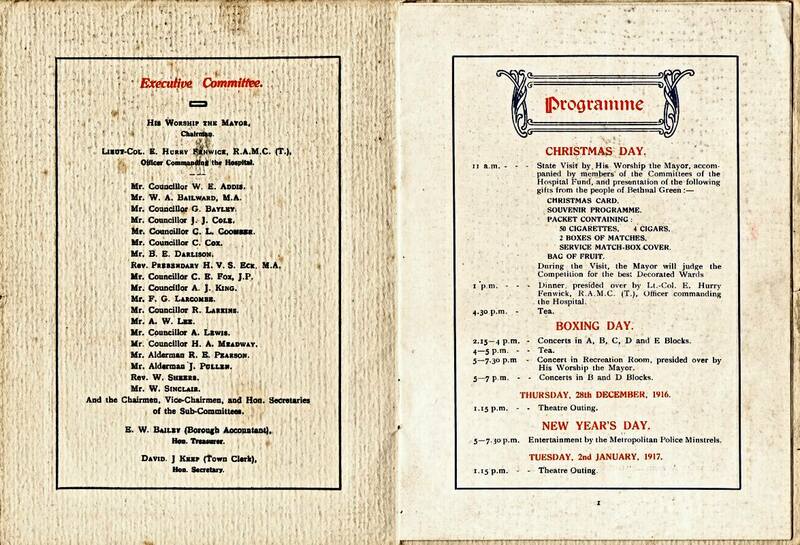 These two items would appear to have been part of the gift (see image 3) that was given to each patient on Christmas Day. Unsurprisingly the other items (cigarettes, cigars, matches, and fruit) have not survived.